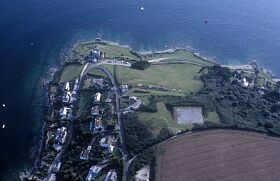 St Mawes Henrician coastal fort was constructed between 1540 and 1545. 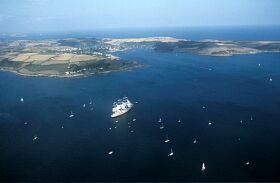 St Mawes Henrician coastal fort was constructed between 1540 and 1545, begun six months before Pendennis Castle (18709) on the opposite side of the Carrick Roads. St Mawes castle was surrendered to the Parliamentarian forces in 1646. During the Napoleonic wars there were some new works on the site (including temporary barracks), and further fortifications were added in the later C19. The castle was re-occupied in the 1939-1945 war. 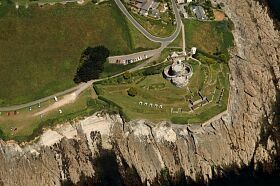 The site consists essentially of a tower or keep with lower bastions giving a clover-leaf plan, with outer lodge, lower fort, and C18 -C19 batteries and magazine in the surrounding terraced slopes (b11). The central tower or keep was built in five and a half years, from March 1540. 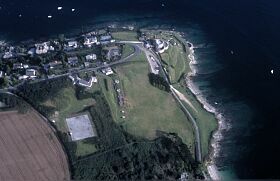 The site slopes down to the mile-wide entrance to Carrick Roads; as noted by Hitchens and Drew, the castle is overlooked by higher ground inland. Essentially the fort consists of a round central tower with four floors, with three semi-circular bastions or lunettes attached. The keep has a small turret and cupola, and is 13.4m high from base to parapet. Building materials are local shale, with some granite and freestone. The ornamentation of the keep includes inscriptions carved by the Royal Antiquary, John Leland (b6). These verses are described by the Lysons and Hitchens and Drew. Details of the elevations and internal arrangements, are given by Morley. 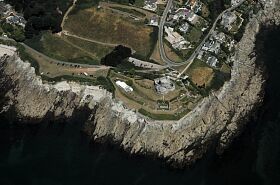 He also notes that although there may have been a small dry ditch on the seaward side of the castle, it is built on a surface 4.5m below the outer lodge on the landward side, to which it is connected by a bridge. This was originally a lifting bridge, but is now solid masonry. The Scheduling was revised on 10th July 1996. Johns C & Thorpe, C, 2008, St Mawes Castle, Cornwall, Access Improvements - Archaeological watching brief August-December 2008 (Cornwall Event Report). SCO25369. Johns C, 2009, St Mawes Castle, Cornwall, Access Improvements - Archaeological Watching Brief Jan-March 2009 (Cornwall Event Report). SCO25370. <1> Norden, J, 1728, Speculi Britanniae Pars (Bibliographic reference). SCO4001. <2> Lysons, D & S, 1814, Magna Britannia, VOL III, CORNWALL, 99, 153 (Bibliographic reference). SCO3885. <3> Hitchins, F & Drew, S (Eds), 1824, The History of Cornwall, VOL 2, 349-350 (Bibliographic reference). SCO3595. <4> Polsue, J (Editor), 1867-72, Lake's Parochial History of Cornwall, VOL 2, 309 (Bibliographic reference). SCO4139. <5> Pasfield Oliver, S, 1875, Pendennis and St Mawes (Bibliographic reference). SCO4086. <6> Toulmin Smith, L (Ed), 1907, The Itinerary of John Leland (Bibliographic reference). SCO4949. <7> Ordnance Survey, 1970s, 1:10,000 OS Map (Cartographic materials). SCO4045. <8> UNKNOWN, 1963, MOW PAMPHLET (Unedited Source). SCO7886. 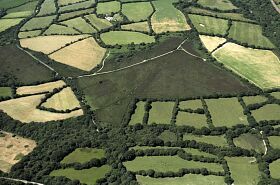 <9> Carew, R, 1969, The Survey of Cornwall 1602 (Bibliographic reference). SCO3044. <10> Sheppard, PA, 1980, The Historic Towns of Cornwall, 21-22 (Cornwall Event Report). SCO4422. 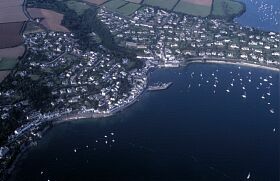 <11> Morley, B, 1988, The Castles of Pendennis and St Mawes (Bibliographic reference). SCO3957. --- SCO25369 - Cornwall Event Report: Johns C & Thorpe, C. 2008. St Mawes Castle, Cornwall, Access Improvements - Archaeological watching brief August-December 2008. --- SCO25370 - Cornwall Event Report: Johns C. 2009. 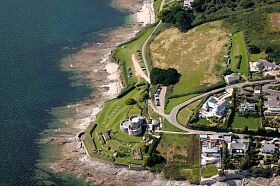 St Mawes Castle, Cornwall, Access Improvements - Archaeological Watching Brief Jan-March 2009. SCO4001 - Bibliographic reference: Norden, J. 1728. Speculi Britanniae Pars. SCO3885 - Bibliographic reference: Lysons, D & S. 1814. Magna Britannia. VOL III, CORNWALL, 99, 153. SCO3595 - Bibliographic reference: Hitchins, F & Drew, S (Eds). 1824. The History of Cornwall. VOL 2, 349-350. SCO4139 - Bibliographic reference: Polsue, J (Editor). 1867-72. 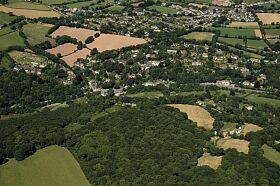 Lake's Parochial History of Cornwall. VOL 2, 309. SCO4086 - Bibliographic reference: Pasfield Oliver, S. 1875. 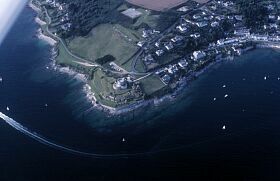 Pendennis and St Mawes. SCO4949 - Bibliographic reference: Toulmin Smith, L (Ed). 1907. The Itinerary of John Leland. SCO7886 - Unedited Source: UNKNOWN. 1963. MOW PAMPHLET. SCO3044 - Bibliographic reference: Carew, R. 1969. The Survey of Cornwall 1602. SCO4422 - Cornwall Event Report: Sheppard, PA. 1980. 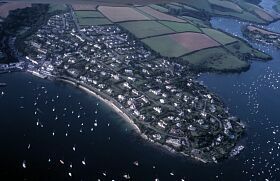 The Historic Towns of Cornwall. 21-22. SCO3957 - Bibliographic reference: Morley, B. 1988. 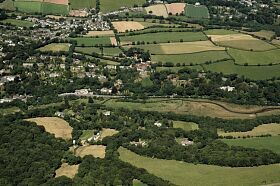 The Castles of Pendennis and St Mawes.